Grayson is a highly intelligent, very over-active 3-year-old little boy that rarely stops moving. He and his younger brother Isaiah came to live with their grandparents over a year ago as their parents could no longer take care of them due to addiction issues. Grandma and Grandpa are adopting both boys and are near the end of that process. Grayson has many behavioral issues due to fetal alcohol spectrum disorder. Fetal alcohol spectrum disorder (FASD)is a pattern of physical and mental defects that can develop in a fetus in association with high levels of alcohol consumption during pregnancy. Drinking during pregnancy can cause brain damage, leading to a range of developmental, cognitive, and behavioral problems, which can appear at any time during childhood. For Grayson these symptoms began showing up early on in his behavior. Grayson needs constant attention and cannot be left alone unattended. He doesn’t learn from his mistakes like a typical child and has no understanding of consequences for his actions, so it’s very hard to teach him right from wrong. At times he can be a danger to himself and his little brother, which is why he needs constant supervision. At times he doesn’t sleep well at night and is quite often defiant and doesn’t follow directions. Grayson’s grandparents hope to get him into California University at San Francisco’s Brain Center for an evaluation with a pediatric neurologist, so they can better understand his development and behavioral issues and get him the counseling and care that he needs. 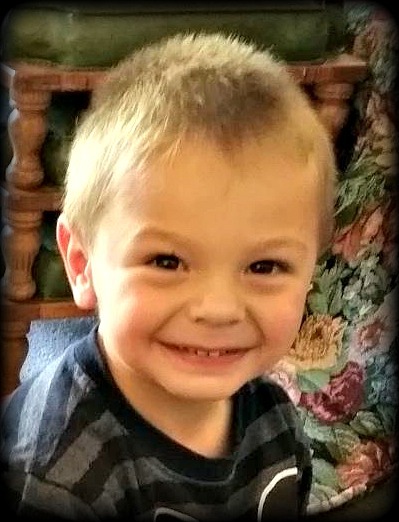 In spite of his emotional challenges, Grayson is a typical little boy that loves to ride his tricycle, play with his cars and trucks, and spend time outdoors whenever possible. Grayson is very smart, which keeps his grandparents and care givers on their toes at all times. Sparrow Cash raised for Grayson will help with ongoing medical expenses, counseling, travel, and everyday living expenses. Students at Sisters Christian Academy will “earn” Sparrow Cash by completing a minimum of 256 hours of sponsored community service.